“Dil e Maztar” is a story about Adeel who refuses to marry Silla as he suffers from inferiority complex. Adeel lives with his mother in Silla’s house. 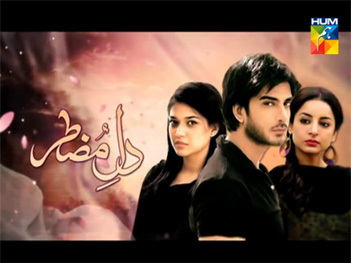 Silla runs away from home after Adeel refuses to marry her, and Adeel is held responsible. Adeel finds Silla and after the death of his mother, gets married to Silla and moves abroad. Initially, he has a very harsh behaviour towards her but eventually Adeel falls in love with Silla. When Adeel becomes jobless, Silla starts working with Ahmer. Zoya the next-door neighbour agrees to take responsibility of their child. However Silla’s job creates problems in their marriage.